How Long Should A Cigalike Cartomizer Refill Last? This is a very common question but is actually one that’s quite hard to answer! Our products were originally put through a ‘simulated vape’ to provide an estimated ‘cigarette equivalent’ per refill. This estimate was originally printed on our packaging, however it soon became clear that vaping habits and styles vary between vapers. This in turn affects how long they may last you. The nicotine delivery that you get from an e cigarette is quite different to that from a cigarette. Some people; for example, will use their e cig for a few minutes at a time and then leave it until they feel the craving for nicotine, as you would with a tobacco cigarette. Others might use the e cig for a more prolonged period but taking longer breaks between each puff. Others will have a few puffs frequently. There is also variation in the amount that people inhale when they vape. You may find that some days you vape differently than others. In essence, there are a lot of factors that will effect the length of time a refill lasts. How Long Might a Cigalike Cartomizer Refill Last Me? 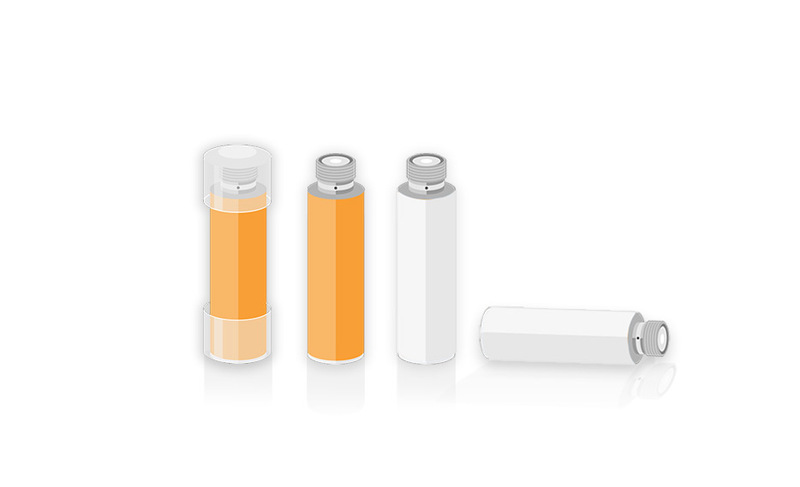 As a rough guide, if you are a light vaper then you may well find that a refill will last you upwards of 2 days. If you are more of a frequent vaper then you are more likely to go through a refill in anything from a few hours to one day. It’s helpful to note that if you feel you are going through them too quickly you may need to try a stronger nicotine content. For example, if you’re finding this whilst using our high strength tobacco refills you may want to try the Tobacco – Extra High Nicotine Refills as it may be that you are not getting enough nicotine to satisfy your cravings. If you try these and find that they are too harsh on your throat or make you feel a bit lightheaded, you are probably best sticking with your original strength as they might be too strong for you. Browse our full range of OK E Cig cigalike refills here or head back to the Information Hub if you have any other questions. If you can’t find an answer to a query, please do not hesitate to contact us and we’ll be happy to help.